It's the month of May, it's never too late to wish all mom Happy Mother's Day. Being a mommy of two boys I know what new parents needs. I have friends that are pregnant and asked me when is best time to shop for baby stroller. I suggest them to shop on 3rd trimester, it's where all parents would be excited and can start scrolling and searching for suitable baby stroller. 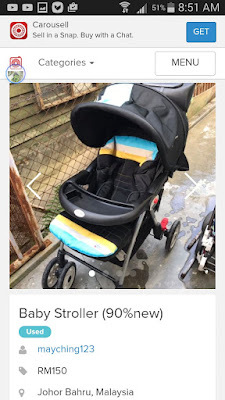 With Internet access today, we can shop online I found Carousell selling preloved baby stroller and price affordable too. Do you know that Carousell you can sell your preloved items too. 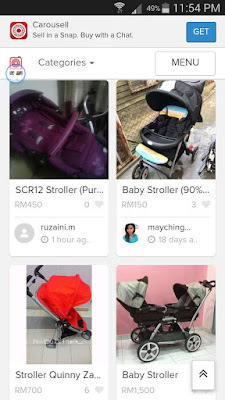 I didn't know of this earlier, if yes I would have sell the my kids baby stroller and also their preloved baby clothing and kids clothing on Carousell. It's good now I found out and share it with you, you still can sell them if you have any preloved things that are still in good condition namely toys or children clothing. 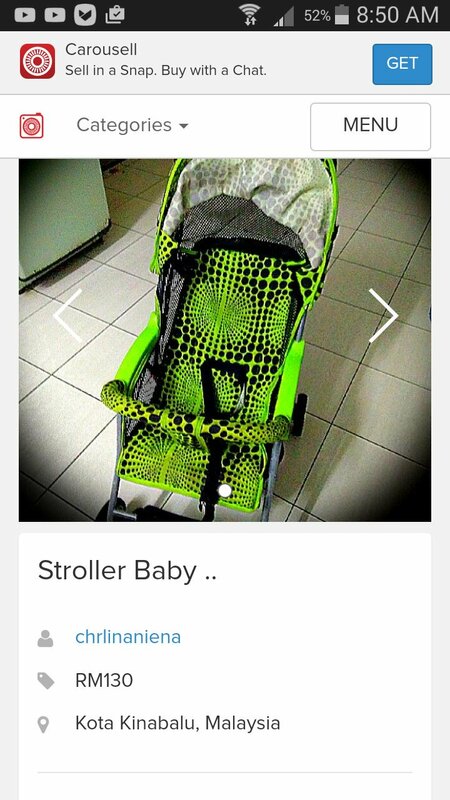 I checked on Carousell and I found many preloved baby strollers and price are affordable and wide variety of choice. There's information on the price and how long the baby stroller been use and also where the seller is selling it. The price is cheaper compare to purchase new baby stroller. I know parents with baby and stroller would love to shop within their budget. 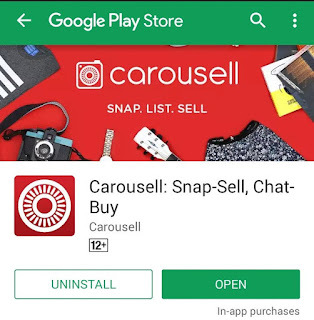 With internet access, we can easily access to Carousell from computer or smart phones. Its free to register with Carousell to buy or sell online. It's simple to use and safe to use, the buyer would have to register account if he/she wants to purchase from you. Look at the above photo the preloved green color baby stroller, it's only cost RM100. I will suggest my friends to install the app on her smart phone as she is always on the go, she will find it convenient to search online for the suitable baby stroller. As my friends are new parents and they are told me that they would like to shop within budget and didn't plan to purchase for new baby stroller. I know a baby stroller can use from 1st child to 2nd child. That's how I well kept my baby stroller for my 2nd son to use from my 1st son. Now we can online search for the parenting needs on the Carousell's category. Being mom of two boys, I know the important of home storage space. Shall get start to find kids' clothing that they can't fit in anymore and in good condition to sell them on Carousell. Don't just read here, if you have interest to find out more about the Carousell. You can also install the application to your smart phone device. 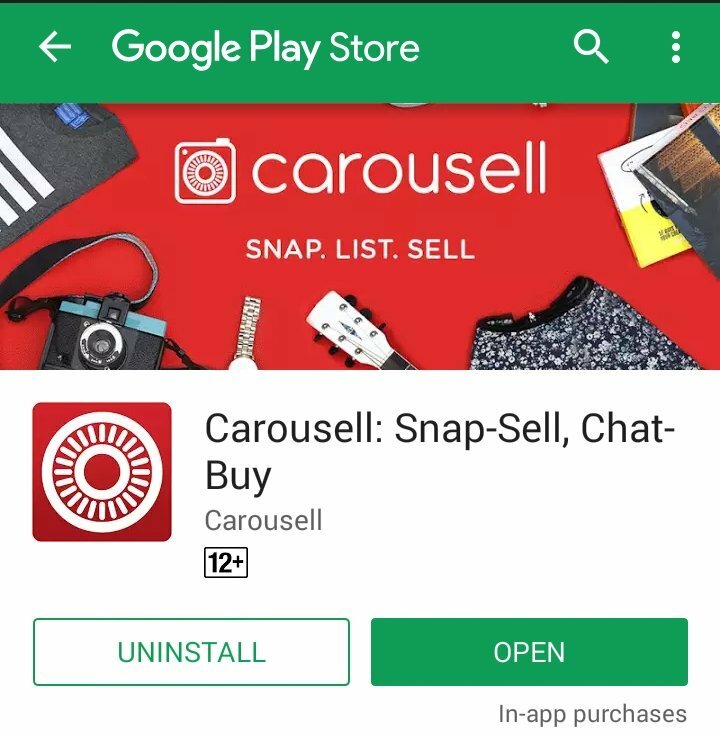 You can also follow the Carousell updates on Facebook.com/Carousell. i love carousell! sold a number of things there.. and its really great! Wow.. didnt know there are so many varieties to choose from in Carousell.. I agree that some items should be bought preloved as the condition are still good! Nice place for us to shop! I wish to buy more and more! Carousell is a wonderful platform for preloved items. Buying baby items preloved is really a good move to save money!! They grow up so quickly. sometimes also use carousell!! !Get a lot of good product from there!! Sign up last time but too many cheapskate people ask for very low price so I uninstall already. I've got carousell, if you're up for bargain items i guess it's a good platform but it's not as easy to sell compared to last time especially when it comes to 2nd hand clothings. Wah! this is great, i will let my friend know coz she is looking for 2nd hand stroller.